We're moving to a new website! Don't worry, the podcast will stay the same, as will the people who do it, but we'll be publishing over a site called Radio Cannon in 2014. Tune in for full details. 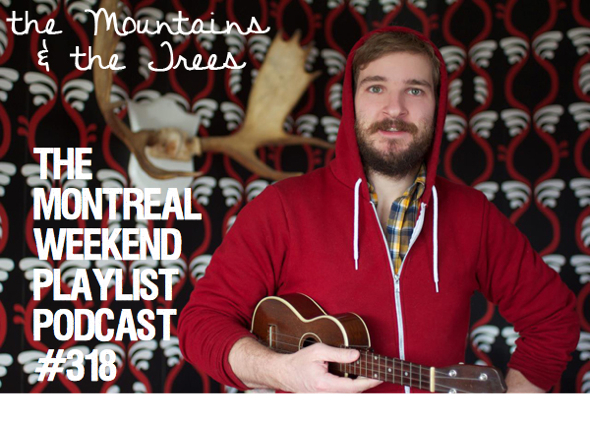 It's also our goodbye Greg/Christmas edition, and we play some unreleased tracks from iconic Montreal indie bands and some less tacky than you'd think holiday tunes from the likes of Malajube and The Mountains and the Trees. Ho Ho Ho Canada!It's been great, Greg. May Toronto take you into its musical bosom with open arms and much love. And remember that a 6-hour drive does not a friendship break. We'll be seeing you. Podcast | Get the podcast here. iTunes | Add the Weekend Playlist Podcast to iTunes. 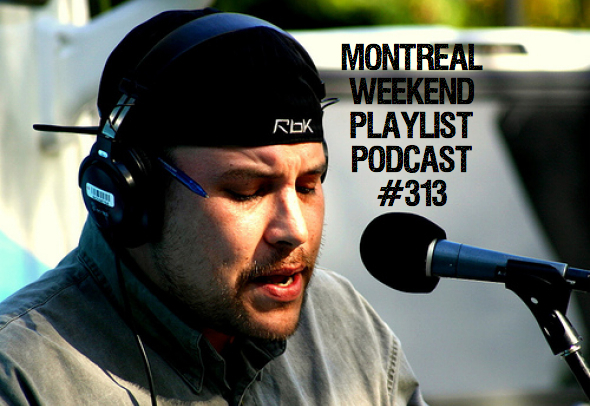 RSS | Add the Weekend Playlist Podcast feed to your RSS Reader. Search | Search the audio on Podzinger. If you're still writing your Christmas list or ticking friends and family off your Christmas to-do list, here are some options for great music you can buy from bands worth supporting. Other suggestions: Show tickets. What? 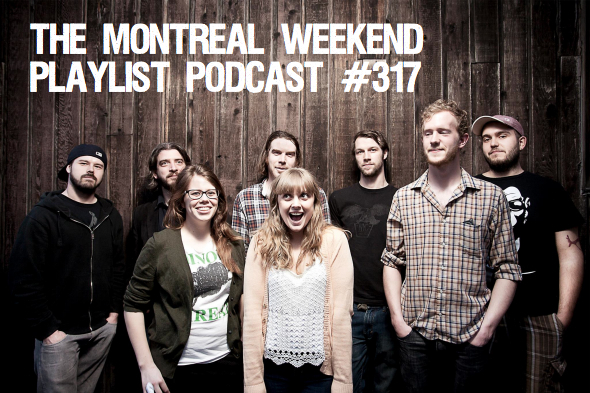 All these bands are playing in Montreal this week?? Yup. That's why we do this podcast every week--for you, listeners. It's like our weekly Christmas gift to you. 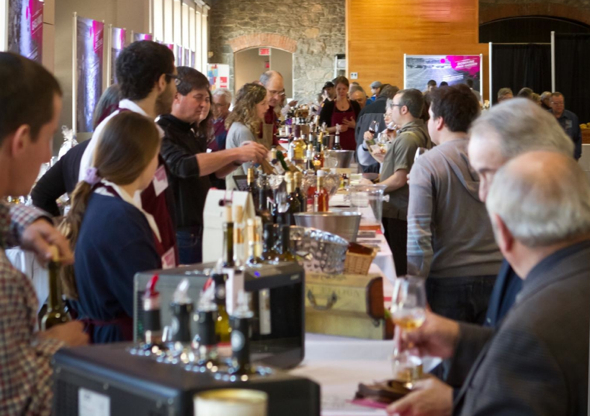 It's time to get out and taste some local tipples at the Fete des Vins du Quebec this weekend. Whether or not you know your Frontenac Gris from your Vendage Tardives, the three-day event at Marche Bonsecours is the perfect excuse to warm yourself up from the inside out, and feel mighty good about that carbon footprint. 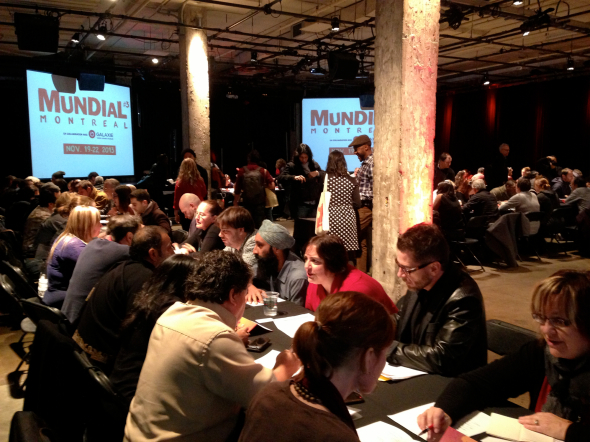 This week, we're previewing M for Montreal and Mundial - two industry festivals with some incredibly cool and rare show opportunities for the public. We also talk about Jef Barbara's album launch, the return of the legendary Mazzy Star, the wondrous post-rock sounds of Mono, and a lot more. Listen up for a little bit of hiphop, a little bit of South African folk, and a whole lot of love/politically insensitive jokes from Greg, Theo, Emily and me. 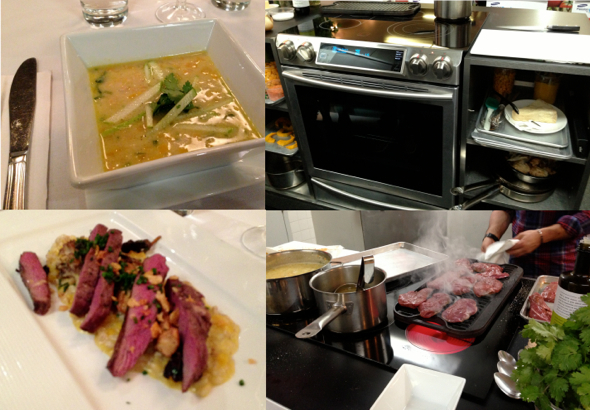 I recently had an "intimate cooking experience with top chef Louis-Fran�ois Marcotte." If you're Anglo you don't know who that is. If you're francophone, you do. If you're over the age of 40 you're in love with him. You might be in love with him if you were younger, but he's married with kid, so don't admit it if you are still in love with him, because you'll never win. So at a media event called Passion for Fresh put on by Samsung Canada to show off their new fancy cooking range that lets you cook at two different temperatures at once, and warms dishes in the drawer below, I didn't plan to be seduced by Marcotte, the guest chef for the evening.